Unless you are a slug, a sea anemone or mildew, you probably prefer not to be damp. 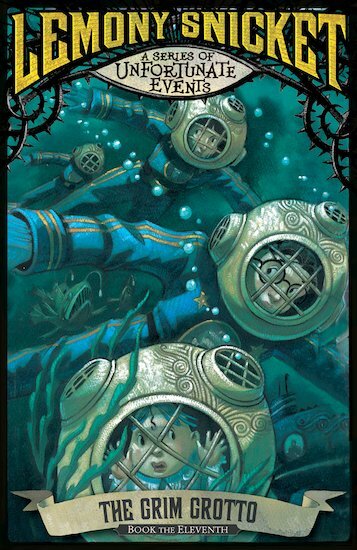 You might also prefer not to read this book, in which the Baudelaire siblings encounter an unpleasant amount of dampness as they descend into the depths of despair, travelling far underwater. In fact, the horrors they encounter are too numerous to list, including mushrooms, a desperate search for something lost, a mechanical monster, a distressing message from a lost friend, and some tortuous tap dancing! Are you sure you would not prefer to delve into some happier tome in order to keep your spirits from growing sodden?